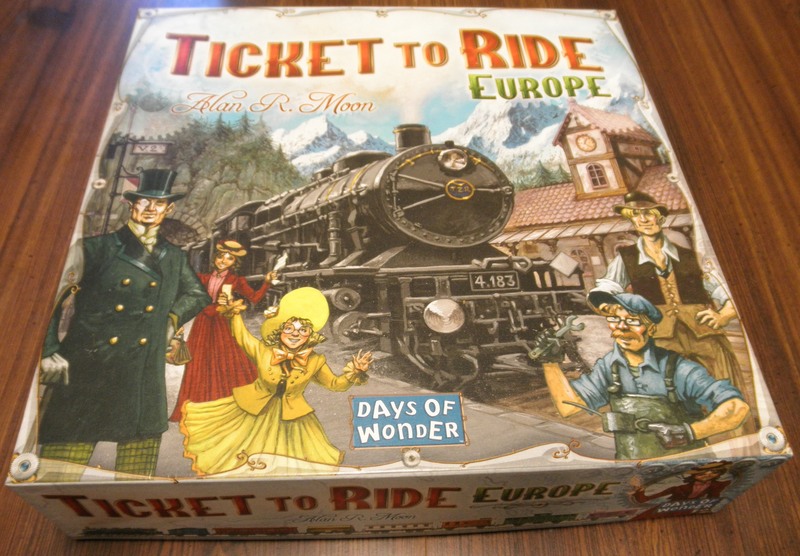 Long time readers of this blog will probably already know that my favorite board game of all time is Ticket to Ride. The reason that I love Ticket to Ride so much is that the game seems to have the perfect balance between being accessible and yet having quite a bit of strategy. One thing that really intrigued me about New York 1901 is that many people on Board Game Geek were comparing the game to Ticket to Ride so I knew that I wanted to try out the game. 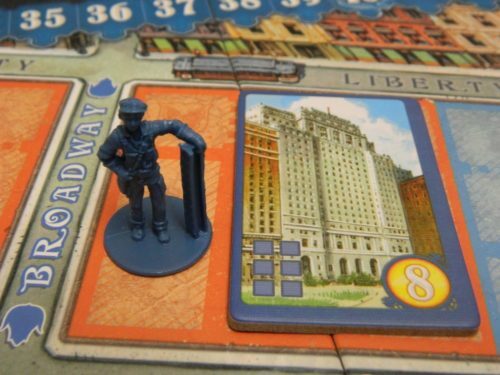 When you first look at the game you can see the similarities to Ticket to Ride as New York 1901 fits into the same light-moderate strategy category of Ticket to Ride. 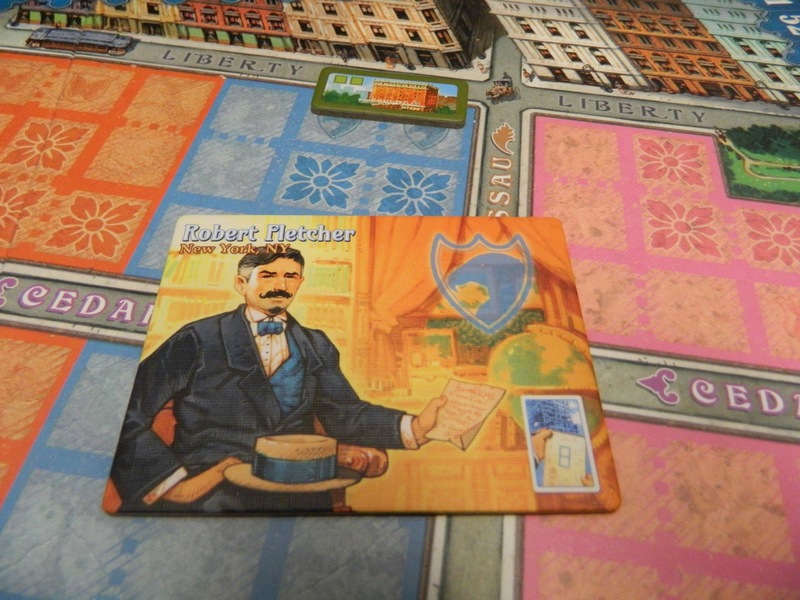 After playing New York 1901 though I have to say that it plays quite a bit differently than Ticket to Ride. While New York 1901 is not as good as Ticket to Ride, it is a very good game that is another good example that a game doesn’t have to be complicated to be a good game. Each player chooses a color and takes a scoring marker, 18 skyscraper tiles, 1 starting property tile, 1 king token, 4 workers and 3 action cards of that color. Each player randomly chooses a character card and takes a two square lot card of the corresponding color. Players find the symbol from their character card on the gameboard and place their starting property tile on that space. This player drew the Robert Fletcher character card so they will place their starting property tile on the corresponding spot on the gameboard. Shuffle the lot cards and deal the top four cards face up to create the open market. Shuffle the five streets of New York bonus cards and randomly select three of them for the game. Shuffle the five bonus challenge cards and choose one card for the game. Place the legendary skyscraper tiles to the side of the board. The youngest player gets to play first followed by the next player to their left. On a player’s turn they choose one of two actions to perform. If a player chooses to use one or more of their action cards the player may be able to take more than one action on their turn (see the action cards section for more information). After a player has finished their turn, if there are no longer four cards in the open market, cards are taken from the face down cards to fill the open market back up to four cards. If there are not enough cards to fill the open market to four cards, the end game has begun. 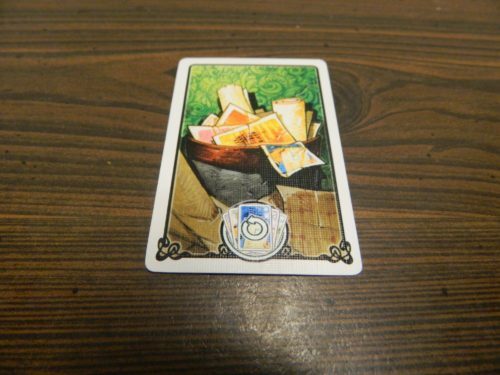 The player will first choose one of the cards from the open market. If all of a player’s workers are already out on the board, they cannot take a card from the open market. Currently in the open market there is a three block pink, a two block blue, a two block green, and a two block yellow card available. A player can take one of these cards on their turn and take a corresponding spot on the gameboard. The player then takes one of their worker pieces and places it on a corresponding spot on the gameboard. For example if the player took a two spot green card, the player will put a worker on a two spot green section of the gameboard. If a player takes a two spot card they can only claim a two spot space and a player can only claim a three spot space if they take a three spot card. In this picture the green player used the card to the left to claim their plot of land. The yellow player used the card on the right to claim the pink lot of land. After acquiring land the player has the choice of building one of their buildings on any of the land that they own (does not have to be the land they just acquired). All workers on the plots of land used to build the building are returned to the player. The player will score the number of points printed on the tile that they played. 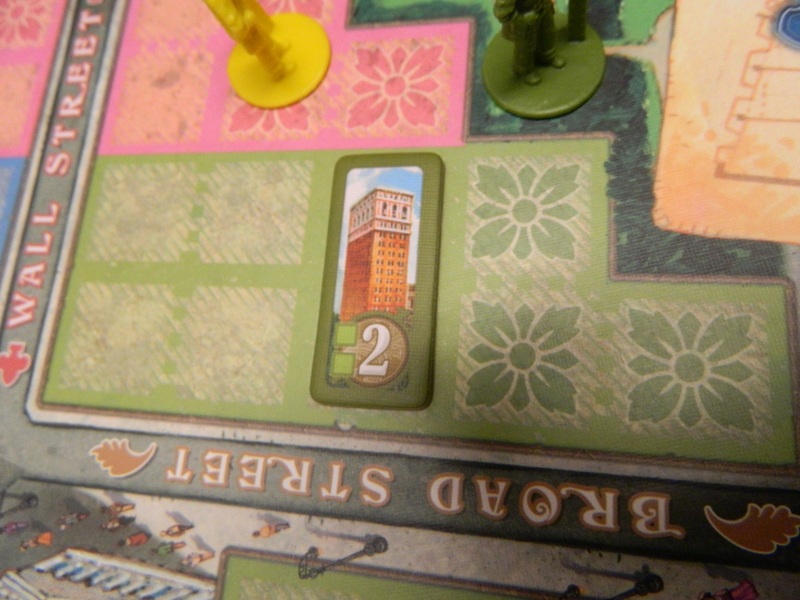 The green player has played a two point bronze building to the gameboard. The green player will score two points. At the beginning of the game players are only able to build bronze buildings. After reaching six points the player is able to build bronze and silver buildings. 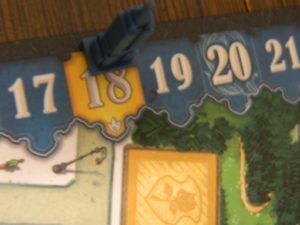 At 18 points the player can build bronze, silver, gold, and one legendary building. 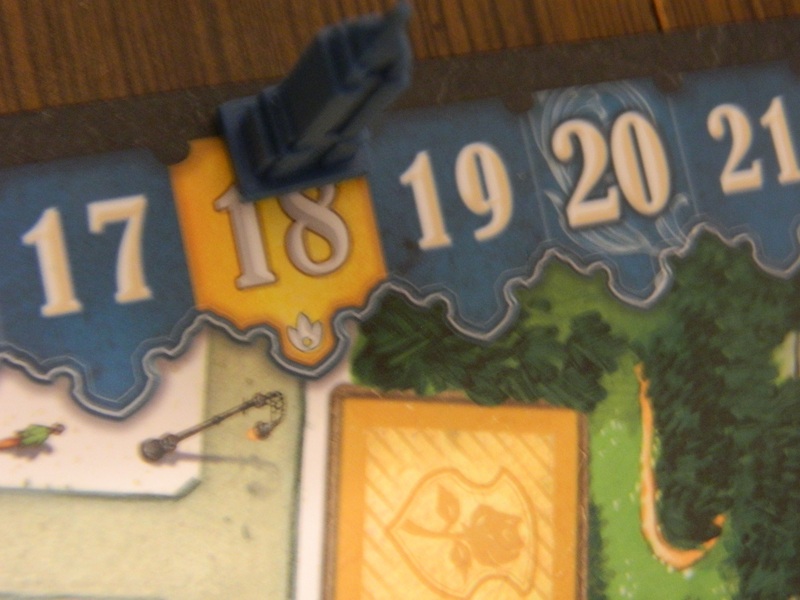 The blue player has reached eighteen points so they can now build bronze, silver, and gold buildings. All tiles placed must have one edge touch a street or park. A building can be placed on multiple lots and districts. Multiple buildings can share spots from a lot as long as they don’t overlap one another. Once a building is built it can no longer be moved. When a player builds a legendary skyscraper they place their king token on it to indicate that they own that skyscraper. 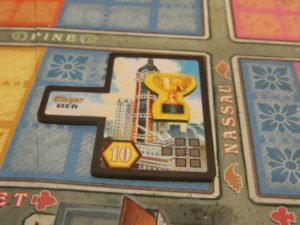 The yellow player has built the Singer legendary skyscraper so they mark it with their token. 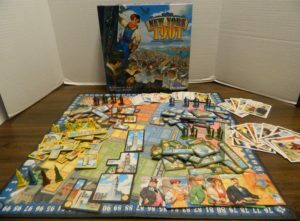 Instead of taking a lot card, the player could decide to destroy some of the buildings they have already placed in order to build a different tower. In this step the player can choose to destroy one or more buildings to make room to build a new building. All demolished buildings are removed from the board and taken out of the game. The player does NOT lose the points for the buildings that were destroyed. If any lots that used to hold the old buildings are no longer being used by the new building, the player has to place workers on the now vacant lots. If the player does not have enough workers to fill all of the newly vacant lots, the player is unable to demolish and rebuild a new tower. The blue player has decided to demolish these two buildings in order to make room for a new building. When putting up a new tower, the tower must follow all of the building rules from the previous section. The building must also be one generation higher than the highest generation building that was destroyed to build it. Bronze buildings can only replace your starting property since every other property is of the same or a higher generation. Silver buildings can replace the starting or bronze properties. Gold properties can replace the starting, bronze or silver properties. Once a gold building or a legendary building has been placed, it cannot be demolished. Once the new tile has been placed, the player scores the number of points printed on the tile. The player has destroyed the two buildings from the previous picture to make room for this new building. 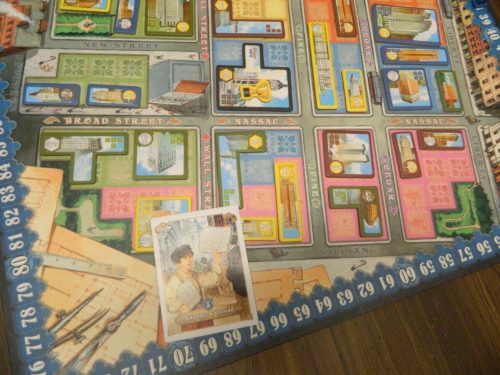 The player will score eight points for the new building and will place a worker on the plot of land that was freed up by destroying one of the buildings. At the beginning of the game each player will be given three action cards. These cards give the player the ability to take an additional bonus action on their turn. Each card can only be used once though and is discarded once it is used. Allows a player to build a second building on their turn. The first building can be created through either the acquire land or demolish actions. This card does not allow the player to take the demolish action twice though. This card must be played at the beginning of a player’s turn. By playing the card the four cards in the open market are replaced with the top four cards from the draw pile. The cards that were removed from the open market are shuffled and placed at the bottom of the draw pile. This card allows the player to take two lot cards on their turn. The player is unable to take a 3 square lot during this turn though. The player also needs to have enough workers left in order to claim the lot cards that they draw. Gold Tycoon-Players receive three bonus points for each district (colored area of the city) that has at least two gold skyscrapers. Master Architect-The player will score three (three buildings), six (four buildings), or ten points (five+ buildings) if they have built the corresponding number of non-square/rectangular buildings (the tile’s point value is shown in a hexagon). Gold Prestige-This bonus is given out throughout the game when the requirements are met. When a player builds a gold building they will receive one extra point for every opponent’s building of a lower level (starting property, bronze or silver) that touches one side of the building that was just built. Bronze Baron-The player scores points based on how many bronze buildings they still have on the board. The players score five points for four buildings, ten points for five buildings, and fifteen points for six buildings. Generation King-Players count up how many buildings they have of each generation. The player with the most bronze buildings scores five points. The player with the most silver buildings scores five points and the same is applied to the player with the most gold buildings. If there is ever a tie for the number of buildings of a generation, no one receives the bonus points. A player only has four building tiles remaining that they have yet to build. There are not enough cards to fill up the open market. When one of these events occur, all of the players except for the current player get one additional turn. The game then ends and the final scores are calculated. The first set of bonus points are given out for the streets of New York bonus cards. For each card all of the players count up how many buildings they have on the corresponding road. The player with the most buildings on the road scores five bonus points. If there is a tie, no one receives the bonus points for that card. 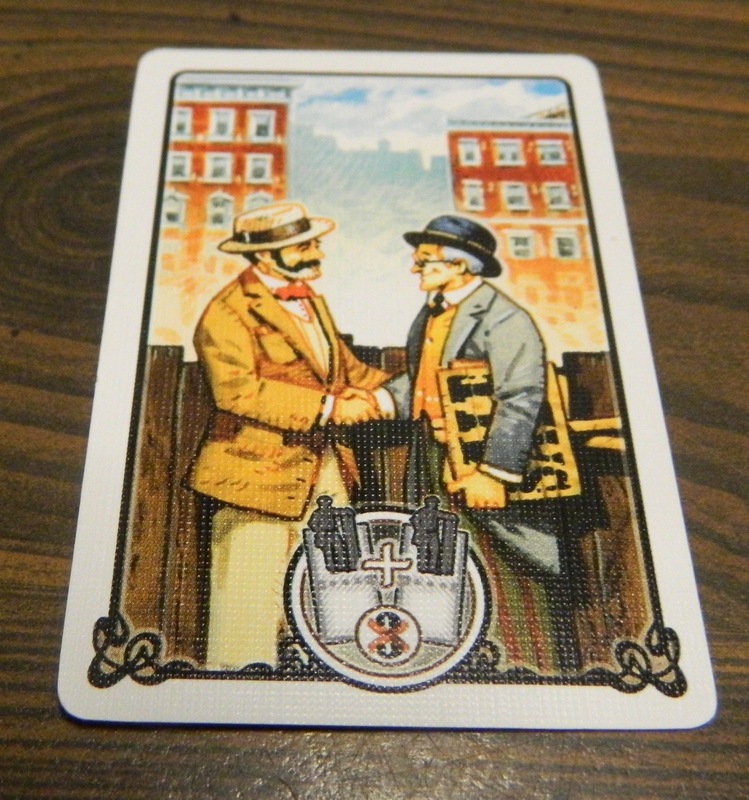 One of the street bonus cards for this round was for Nassau and Broad. 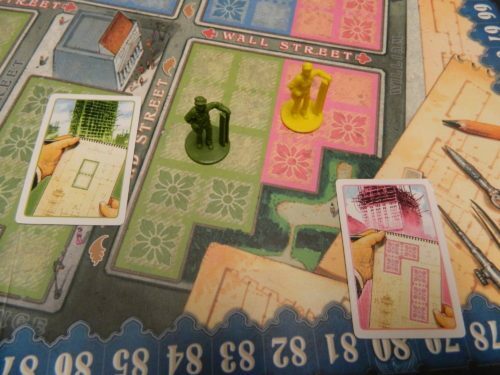 The players have the corresponding number of buildings on Nassau and Broad: green four, blue three, yellow three, and brown three. 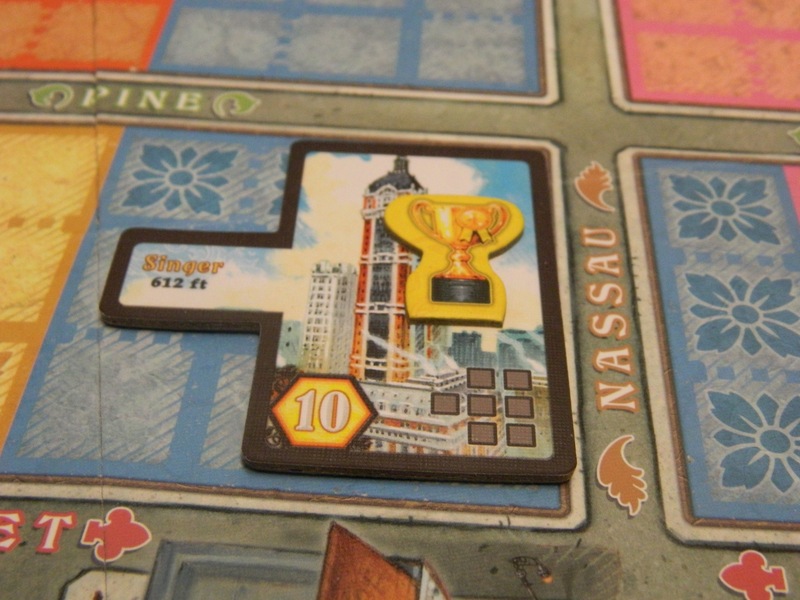 Since the green player has the most buildings on Nassau and Broad they would receive the five bonus points. Players will then score points based on if they satisfied the conditions of the bonus challenge card chosen for the game. Finally the players will receive one point for every action card that they didn’t use in the game. This player did not use two of their action cards so they will receive two bonus points at the end of the game. The player with the most points after all of the bonuses have been applied wins the game. If there is a tie, the player who built the tallest legendary skyscraper breaks the tie. If none of the tied player have built a legendary skyscraper, the player with the most gold buildings breaks the tie. If the tie is still not broken, the tied players will share the victory. At the end of the game the green player has scored the most points and has won the game. So as I already mentioned, New York 1901 at first glimpse can give you a strong feeling of Ticket to Ride. From the small colored cards that you draw from the table to the game’s art style and the general light-moderate difficulty/strategy, the game feels like it should play a lot like Ticket to Ride. The comparison to Ticket to Ride ends at the surface though. While the two games feel similar, they don’t play like each other at all. While Ticket to Ride is a set collection game, New York 1901 is a tile laying game. While New York 1901 is not as good as Ticket to Ride in my opinion (hard to do with Ticket to Ride being my favorite board game of all time), New York 1901 is still a very good game. The one thing that New York 1901 does share in common with Ticket to Ride is that it occupies the same niche as Ticket to Ride where it is simple enough for people who don’t play a lot of board games while also being deep enough to keep people who play a lot of board games entertained. While I would say that it is a little more complicated than Ticket to Ride, a player should be able to pick up the game in 10-15 minutes. You probably aren’t going to grasp all of the strategy in your first game though. At the end of the game you will see where you made mistakes and where you could improve in future games. While people who play games on the higher end of the difficulty strategy might find the game to be a little too simple, gamers who like games in the light-moderate strategy spectrum will appreciate how the game does a good job balancing difficulty and strategy. While there aren’t a ton of different strategies in the game, there are enough to keep the game interesting. 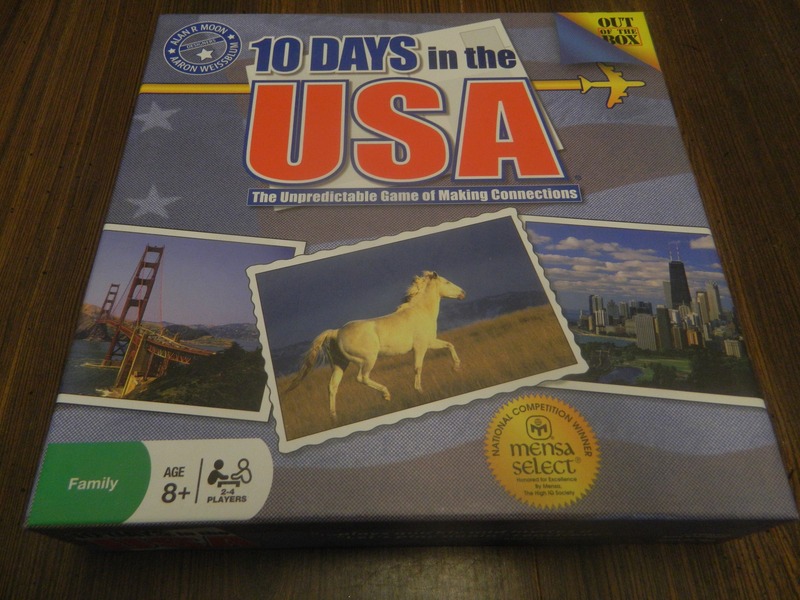 Players who play a lot of board games will have an advantage in the game but the strategies in the game are simple enough that non-gamers will stay competitive in the game. One of the things that I like most about New York 1901 is the fact that due to the bonus cards every game will feel at least a little different. Let’s start with the street bonus cards. Since you use three of the five cards each time you play the game, the choice of these cards might not drastically change the game but they have a big impact on the game. These cards basically push players into playing to certain parts of the board since players are going to want to try for the bonus points at the end of the game. It can become quite competitive to get land on the coveted streets in the game. 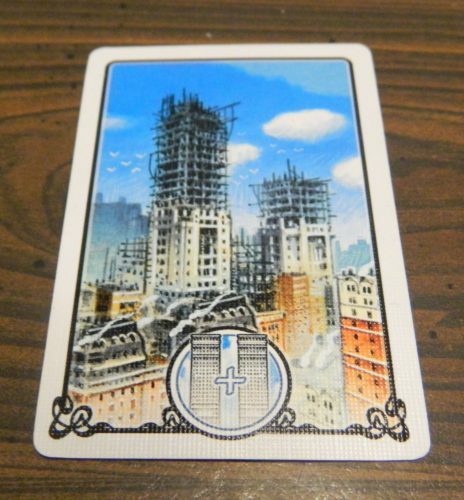 These bonus street cards do a good job creating different areas of the city for the players to focus on in each game. The area that tweaks the game even more though are the bonus challenge cards. I am surprised by how much a single card can change a player’s strategy in the game. For example one bonus card can force a player to try and build as many gold towers as possible while another tries to get players to keep their bronze buildings standing. There are cards that encourage players to build next to other players and others that get players to build in all of the different districts. While these bonus challenge cards are not totally necessary to win the game, they offer a strong enough incentive that you will want to try to tweak your strategy to try and capitalize on them. 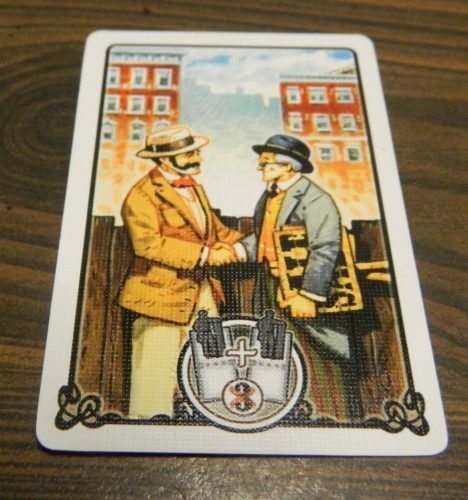 When you add them to the street cards, each game of New York 1901 should feel unique. I attribute this mostly to being the first time I played the game and the fact that my group is filled with people who sometimes suffer from analysis paralysis (myself included) but I think New York 1901 probably could have been a little shorter. The more times you play the game should speed up the game but the suggested play time of 30-60 minutes seems to be a little on the short side. Our first game took more than 60 minutes and we will probably still be on the higher side of the 30-60 minute range when we are more familiar with the game. While the game is not overly long, the game seems a little too drawn out as it seemed two or three rounds too long. While I really enjoyed New York 1901, one issue with the game kept it in the good/great category instead of the fantastic level. While I don’t mind luck in games, New York 1901 relies a little too much on luck at times. This luck comes from the open market. The problem is that if the cards you really want come up on another player’s turn, the other players could end up taking plots of land that will ruin your strategy. This is especially true when it comes to the three square lot cards since there are only a couple of each color so if they don’t come up on your turn, they will likely be gone before your turn since players will rarely pass up getting a three square lot instead of a two square lot. I give New York 1901 a decent amount of credit though for trying to mitigate some of this risk with the action cards. The game does a good of letting players try and change their luck while making that opportunity come at a cost. While it is nice to keep your action cards until the end of the game to get the bonus point, if luck is not on your side it might be worth using the card to try and turn luck to your side. While the action cards do a decent job mitigating luck, luck will still impact the game. The player that is able to take the most three square lots are usually at an advantage in the game especially if they are in an area where they own other land. Also a player could have a good strategy and another player could be dealt a card that will totally ruin that strategy. While strategy is quite important in New York 1901 there are the occasional situations where you just can’t win if luck is not on your side. Having played quite a few Blue Orange Games in the past, I am not surprised by the quality of components in New York 1901. The game has the component quality of a $50-$60 game and yet sells for around $30-$35 new. The game’s artwork is fantastic. The cardboard is really sturdy and the cards are of a good quality. The little plastic figures are also great. If I didn’t know that the game was made by Blue Orange Games I would have thought it was made by a publisher like Days of Wonder or another publisher that is known for making high quality components. While I was writing up this review I decided to look up the designer Chénier La Salle to see what other games he has designed in the past. I have to say that I was surprised to find out that New York 1901 is the first and only game (not counting the expansion for New York 1901) he has designed at this point.That really surprised me since most designers take several games before they make their first great game. 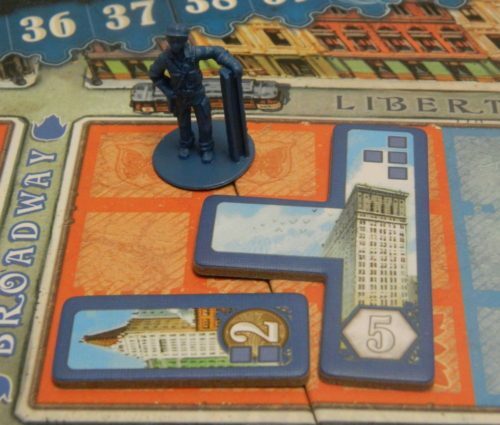 Since New York 1901 came out in 2015 I am hoping that Chénier La Salle ends up designing many more games. Should You Buy New York 1901? While I don’t think New York 1901 is as good as Ticket to Ride, it is still a great game. The game is pretty easy to learn and yet has a surprising amount of depth hidden beneath the surface. The game should appeal to people who rarely play board games but also people who like light to moderate strategy games. One of the best parts about the game are the bonus cards which tweak every game to make them feel unique. Add in some beautiful components and there isn’t a lot to complain about. If it weren’t for there being a little too much luck with the lot cards that are drawn, New York 1901 could have made it to the fantastic level. If you don’t really like light to moderate strategy games, New York 1901 may not be for you. 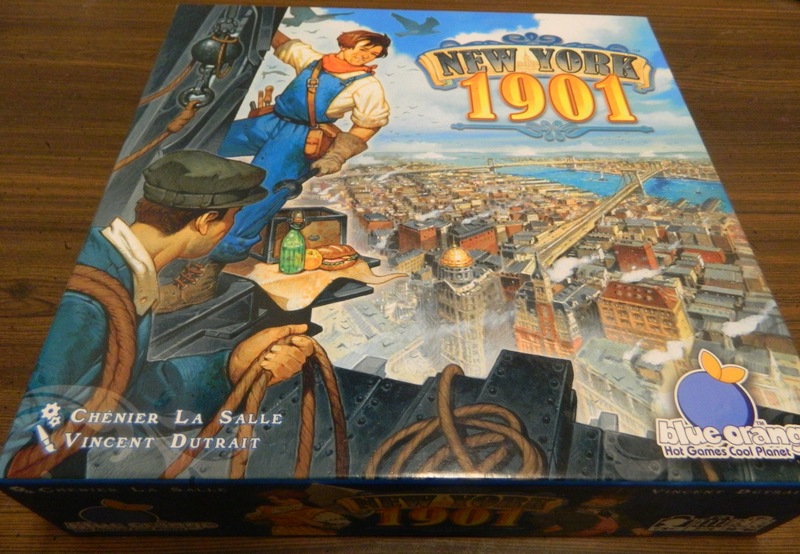 If you are looking for an accessible tile laying game that still has quite a bit of strategy though, I think you will enjoy New York 1901. Hi there! Great review and very good explanation of the rules. However, the demolition example could be confusing. Here’s why: in the example you give, the red lot at top left doesn’t clearly belong to blue player yet the land is used for the new 8 point building. You can keep the exact same example but put a blue worker on that lot on the before picture to show that it belongs to blue player. By the way, you’re not the first to get the impression that the 3 square lots are too good to pass on. But play a few more games and you’ll discover that these lots aren’t worth as much as they seem. The reason is that the 3 square lots are spread out and on different streets and a 3 square lot on its own is worth very little – you need a few contiguous lots to get the most out f them. In fact, if you take every 3 square lot that’s available on your turn, odds are you’ll lose (and likely finish last) since you’ll be all over the place. Eventually, you’ll purposely let your opponents get some of these ‘attractive’ 3 square lots… to keep them busy somewhere else while you pursue you grand plans! Nice catch on the issue with the picture. I will soon update the picture to correct the issue. On your second point I agree to a point. It all really depends on your situation in the game. If the three square lots are in areas where you can’t get any of the land next to them or are not on the streets that award bonus points I can see passing on them. If there are no other cards that can really help you though I think you are better off taking the larger lot than a smaller lot. I agree that you can’t just take land all over the board though since you need to focus on a couple sections of the board. I think the three square lots are really helpful when deciding on the next area of the city that you want to build in though. Surprisingly deep for a light-moderate strategy game. The bonus cards will tweak every game enough to make them feel unique. Relies a little too much on luck due to the lot cards. Takes a while to fully grasp the game's strategy.